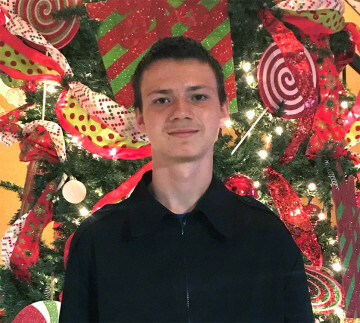 Samuel is an active youth who enjoys being both outdoors and indoors. He is very outgoing and can talk to just about anyone. He is very affectionate and loves to give and receive hugs. Samuel loves to be out and about and going on outings is one of his favorite things to do. He also likes to spend his time using his hands to build things. Samuel is very interested in fixing broken things. He enjoys learning how things work and taking things apart and putting them back together. Samuel enjoys going to school, where he receives supportive services to assist him in learning and staying on task. Samuel does well with one-on-one attention and consistent redirection. He needs to be reminded about appropriate boundaries. Samuel can get easily frustrated or upset and become quarrelsome with those around him. He requires constant supervision and guidance. Samuel needs a family who is nurturing and loving. This family will need to provide him with a stable home environment and be strong, positive role models for him. Samuel will do best with a patient family who is understanding and will provide him with a structured environment. He does best with a routine he can easily follow. Samuel really wants to be adopted and will do best with few other children in the home, orhe would like to be the youngest in the home.